Incr HIMARS cost to 75pts. I installed A&S 2.37 but only background screen changed. All the new units do not show up. I played in Skirmish mod. Then i tried to do it manually with the files which are here A&S237.rar\A&S2\Files\. i tried to copy NDF.win.dat to WARGAME\PC\510025133 and ZZ_win.dat to WARGAME\PC\510024744\510025133 but nothing changed when i opened the game. Do you know where it comes from and the solution to this problem? Fantastic mod, I love the amount of work and care put into this! Thank you Bromure for your help. For example, I can see the dutch units with dutch flags but with indian names and stats, but I don't see coalitions like star of the east, or turkey or something. Also the dutch/german coalition is still intact which i thought had changed..
Do you know where it comes from and how I can fix it? I still got a quesiton @ Spectre_nz. Can you also change the Leo2A0 and Leo2A1? 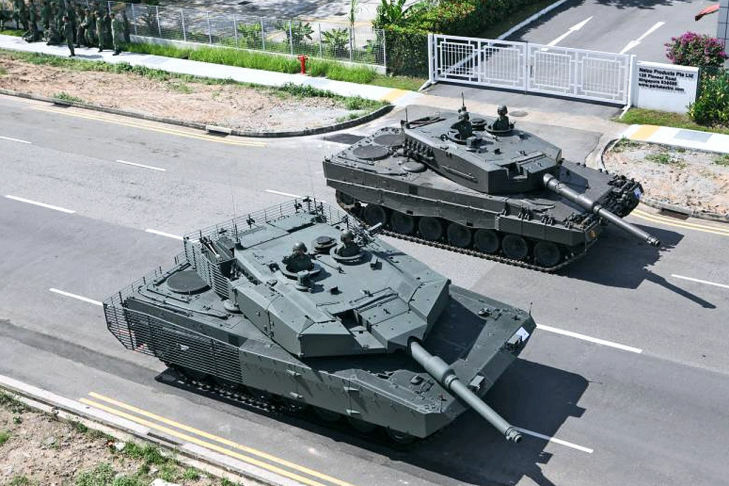 This tank is basically just an upgraded Leopard Evolution with more allround armor, better AP, HE - which is on the same level as the Leo2A5. Is it possible to change the Leo2A1 into a Leo 2A4 Revolution and the Leo2A0 into the Leo 2A4 Evolution? I keep the earlier tanks for all nations since they still have a role as cheaper medium-duty tanks. The evolution and revolution upgrades weren't used by the Bundeswehr to my knowledge, since they'd either already upgraded to 2A5 and later models or sold off their 2A4's. The Revolution and Evolution upgrade packs were sold to nations like Singapore who had 2A4's they wanted to upgrade. According to the info, these kits were intended to bring 2A4's up to a 2A5 or 2A6 standard, and from the perspective of the German deck, they already have tanks of that caliber. 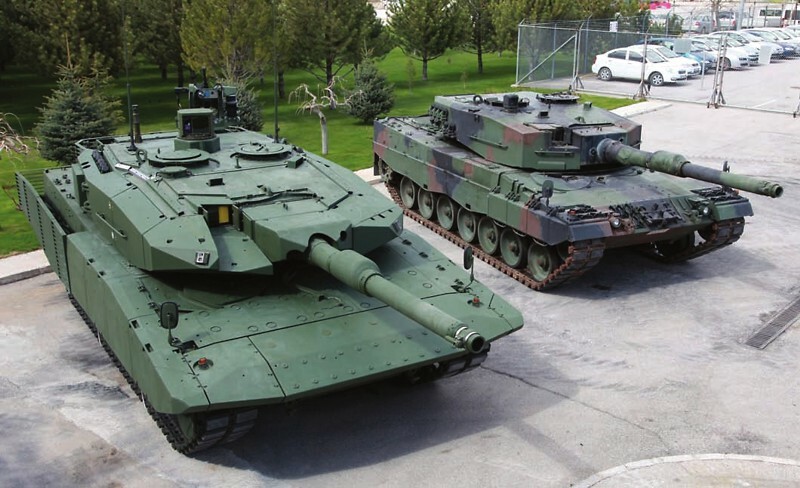 The Leo2 RUAG in the Norwegian deck and the Leo 2 NG in the Turkish deck are in essence, those upgrade kits in service with other nations. V 2.38 is up. some big changes. I've implemented APS on tanks and vehicles. APS systems now have a chance to intercept incoming ATGMs and protect vehicles form harm. All ATGMs should be interceptable, but let me know if you see one that doesn't cause an APS system to at least aim at it. Currently, only the SMAW, the MBT-LAW and Rb57 NLAW infantry RPG's are interceptable, but in time I may make all RPGs interceptable depending on how well those three go. Glide bombs are interceptable but SDB's and JSOWs are not. A multitude of SPAAG units can also act like CIWS and shoot down missiles too. The US Abrams Tusk command tank had its main gun ammo reduced from 55 to a more reasonable count. Any plans to add the Italians? Also, given how this is modern day, are there any possibilities to add the Type 16 MCV? Hey there. I got a question. Reason is that Turkey and Sweden/Denmark are not in an alliance in real life and it would geographically not provide them a lot of support. Norad on the other side is much more realistic (geographically) and it is still important today.